Ten Reasons To Defriend A Friend! Has social media taken a toll on friends and families? In more than one case I would have to say yes. 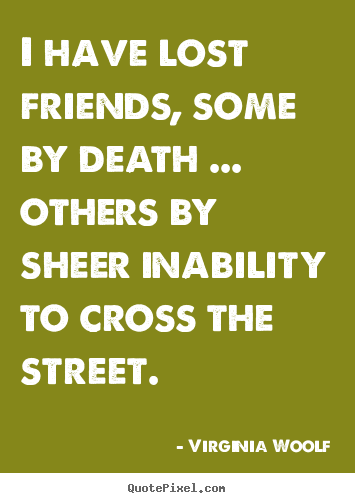 We should remember that people can be impulsive and fickle. Years ago I learned that putting something in writing often made it sound a bit harsh or more prone to being misinterpreted. It has been recommended that several topics are avoided and not introduced during dinner with family members you seldom dine with and the same type of discipline should probably extend to social media sites. While birds of a feather tend to flock together oil and water don't mix, however, in society today it is not uncommon for some people to abruptly end friendships that have existed for years with little thought. The Ten best reasons to defriend a friend or kick an acquaintance to the curb are listed below. As pointed out above many reasons exist for defriending someone and while many social media aficionados enjoy or even make a goal to collect friends bringing together feuding or opposing points of view can rapidly turn the discourse ugly. Certain formats that invite friends to comment later result in angry and hurtful comments that pit families against friends and test loyalties. This can result in a person "defriending" someone in a moment of anger that creates a rift that is later hard to bridge. While there are reasons for this action it is important to note that many people are deeply hurt when they are defriended on social media because unlike just avoiding them you are taking action to in effect cut them off from a relationship and they know it. Values are interesting things and we all react differently to what we might interpret as an attack, it is not uncommon to see something very minor escalate into where the baby is thrown out with the bathwater meteorically speaking. 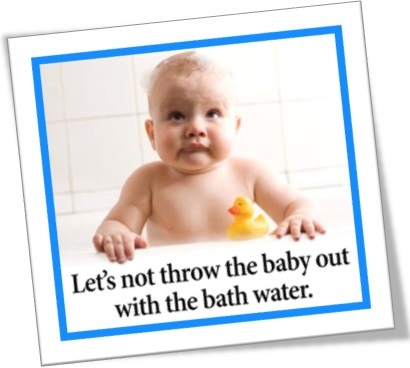 "Throwing the baby out with the bath water" is an expression that implies that an entire idea, concept, practice or project doesn't need to be rejected if part of it is good. The baby, in this sense, represents the good part that can be preserved. The bath water, on the other hand, represents the part that needs to be discarded. 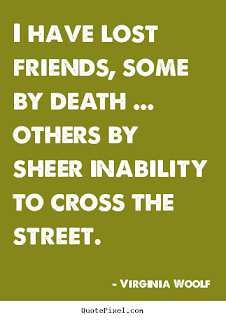 Over time more than one close friendship has been sacrificed and left for dead on the ground we call social media. It has been said that few people spend the last minutes of their life on their death bed pained by not spending more time devoted to work. In my particular case, I've grown less social over the years and I would say that in not necessarily a good thing. Taking to the view that most people reap what they sow and recognizing the misery people tend to needlessly heap upon each other I cannot help but think of the words spoken by Rodney King, an African-American taxi driver who became internationally known after being unjustly beaten by police, "People, I just want to say, can we all get along? Can we get along?" Living in a nation where politics have become very polarizing we often make little effort to see the world through the eyes of those who fail to echo our sentiments. We have allowed ourselves to be divided by petty little differences that one hundred years from now will matter naught. I want to make it clear that I'm in no way a touchy feely kind of guy, however, I do value most social customs that bind us together as a community. While pondering what I have written I'm reminded of something I read years ago about how it is best to tell those we care about how we feel while they are in our lives rather than to wait until they are gone then mourn the fact we waited too long. Quasi Government Student Housing A Boondoggle? Again I find government attacking my ability to make a living and at the same time busy spinning their recent failure into a narrative of better things to come. An article that appeared in my local paper detailed how after a dozen years after opening on the IPFW campus, Purdue University’s first residence halls outside of West Lafayette, Indiana are challenged to reach capacity. Purdue trustees approved funding for housing construction in 2002. 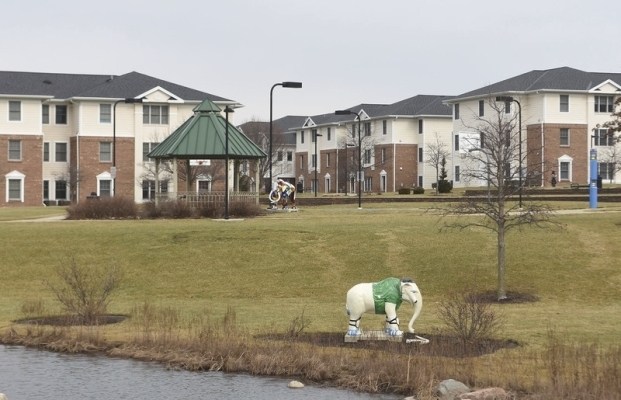 The buildings were constructed in three phases, the first opening in 2004, IPFW student housing has not achieved full occupancy since the last of the buildings opened in 2010, school officials say. Including financing costs, about $78 million is still owed on construction. Currently, the units are more than a quarter empty, exactly how much was not indicated. Purdue and Indiana universities have jointly run IPFW, with Purdue as the fiscal agent. But in December, trustees for both voted to split IPFW to focus on each university’s strengths. That divorce was proceeded by a look at the school’s enrollment and budgeting woes. While the elimination of some academic programs drew protests as administrators looked to save money, housing also was placed under the microscope. The University Strategic Alignment Process, an internal study released in May, called IPFW housing “not only an unnecessary burden on the finances of IPFW but a missed opportunity related to retention and student success.” Bottom-line these housing units that are priced at sky-high rental rates which punishes students are still losing money. The positive spin comes when they claim that faced with budget constraints, campus leaders hope to change that by managing the 13-building complex themselves after severing ties with the management company it has used since the units first opened in 2004. The canceled management agreement will save $200,000 a year they claim, however, the argument could be made that with little background in managing housing this is pure folly. Part of their solution is to force, they use the term "require" students who get housing money with their scholarship to live on campus. This scholarship requirement would add 61 more students to the housing, bringing the occupancy rate closer to 80 percent and still fail to fill the units. The school also is considering converting one building into elderly housing according to Steve George, assistant director of physical plant fiscal affairs, they also plan to implement 21-and-over housing in another which sounds like "age discrimination" to me but that is another discussion. Keying in on the issue of future management I see little upside to well-paid university employees with little experience in housing doing well considering the number of special problems younger tenants often bring with them. As buildings age maintenance problems increase and this type of employee seldom excels in being able to work in an entrepreneurial environment. Housing is a tough business even for those honed in the real estate management and legal skills to navigate the challenges of this sector. A few other gems in the article were the fluffy statements by freshman Devin Haumesser, 18, an accounting major, lives there and describes the apartments as “really nice compared to other big schools, like the universities, something like that.” Students get their own bedrooms and living space and Taylor Kennedy, 18, a freshman education major, said the apartment-style dorms were the only reason she decided to enroll at IPFW, even though she knows of cheaper housing nearby. As an apartment owner, the opinion of a couple of eighteen-year-old students who may have never spent a night away from home held little sway. What was more telling was when referring to private sector housing in the area Eric Norman, chief student affairs officer, said, "Campus housing and those other complexes are currently at about the same occupancy rate". I take this to mean all apartment complexes are currently suffering and no compelling reason exist for our state university to have ever undertaken this project. Consider all this just another minor transgression by the government. It is very small compared to the many schemes they seek to fostered upon us but it is also a good example of how when we look back these projects fail to reach the glorious goals those in charge promise to achieve. As usual, a small insignificant article viewed by few readers picks up the story and puts a little lipstick on the pig. Few people realize how over the years these subsidized units have sapped vigor from the real economy that is also known as the private sector. I see this as proof the university's student housing project has become simply another quasi-government boondoggle that we will be forced to subsidize for years to come. Footnote; Stories that delve into what is happening in our communities are important, I consider them as "microeconomic" images of what is occurring in many places across America. The article below delves into why and how government by its very nature expands into every part of our lives. The lower prices consumers pay for imported goods have a hidden cost. Higher prices on import goods is a fair cost for retaining and seeing jobs return to America. Several economists have come out recently pointing out that the first thing to suffer from Trump's economic policy will be low prices at Walmart on all the things we import from countries like China and Mexico as well as close allies such as Japan and South Korea which we have subsidized for years. 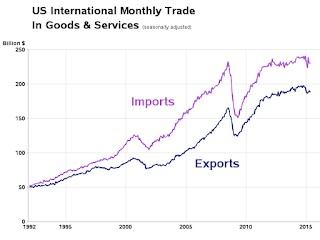 Whether these economists are short sighted, so enamored with the thought of globalism, or simply echoing what they have been told are the benefits of free trade does not mean the positive effect is as large as they claim. President Obama's goal and policy to reduce the trade deficit by exporting more was pure folly and based on hope or delusion rather than business experience. It resulted in substantial damage to our budget that is reflected in America's national deficit. 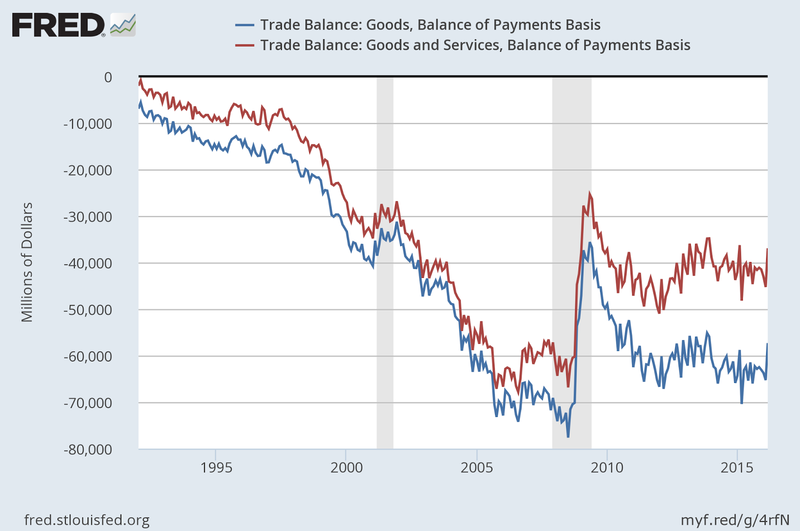 Our government had to spend money to pick up much of the slack caused by putting our heads in the sand and not taking real action to correct America's massive trade imbalance. 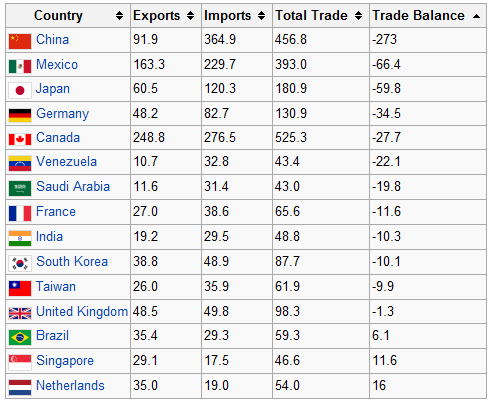 As the chart shows China imports are the biggest part of our problem. This means American consumers are helping to finance the construction of China’s war machine. and a creeping loss of control over core strategic elements. The truth is we should call a spade a spade and question how much we really gain when we find Americans can no longer get good paying jobs because they have been exchanged to other countries in order to lower the price of goods we buy. In many ways, this is akin to a deal with the devil and over time it hollows out our middle class as more and more Americans find themselves dependent on government aid for their existence. We give those in charge of plotting our course in this world far too much credit for wisdom or that they will take our best interest to heart. It is important to recognize that inequality has grown over the years under such nonsense and making matters worse is that not all the countries that we feed wealth into are our close allies. Well known economist Stephen S. Roach wrote an article which appeared on Project Syndicate on January 25th under the Business and Finance section; The greatest tragedy for the US may well be the toll all of this takes on the American consumer. “America first” – whether it comes at the expense of China or via the so-called border-tax equalization that appears to be a central feature of proposed corporate tax reforms – will unwind many of the efficiencies of global supply chains that hold down consumer-goods prices in the US (think Wal-Mart). With their incomes and jobs under long and sustained pressure, American consumers count on low prices for their economic survival. If Trump’s China policy causes those prices to rise, the middle class will be the biggest loser of all. I beg to differ with Roach's opinion, it is an exaggeration to say Americans count on low prices on the type of low-quality junk they buy for their survival. The fact is the bulk of our income is spent on things like housing, healthcare, food, energy, and many items already made here in America. Much of what we import could be made here at home at a reasonable cost if America faced some of the major issues relating to being competitive. Little harm will come from seeing prices rise on "peripheral items" such as torch lamps, children's toys, and yes even electronic devices. If anything higher prices might cause consumers to make better choices and eliminate the waste that results from purchasing poor quality products. Americans should expect the politically heated debate over the new trade agreement to continue. We must ponder how much of this is about individual governments giving up control and becoming subservient to corporate “efficiency” and the desire of companies to both develop and control future rules. We should not lose sight of the fact that while free trade is important, fair trade is far more so and should be the main issue. 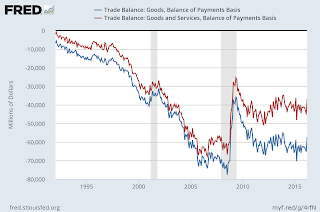 Trading manufacturing and productive jobs for temporary lower prices are a poor trade-off for the long-term damage it wrecks. Developing a long-term sustainable economic system that is balanced can contribute to both global cohesion and the world economy. 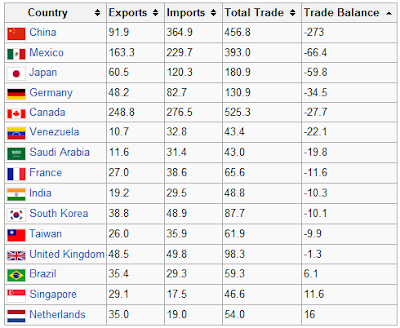 Footnote; The article below delves into the difference between free trade and fair trade. 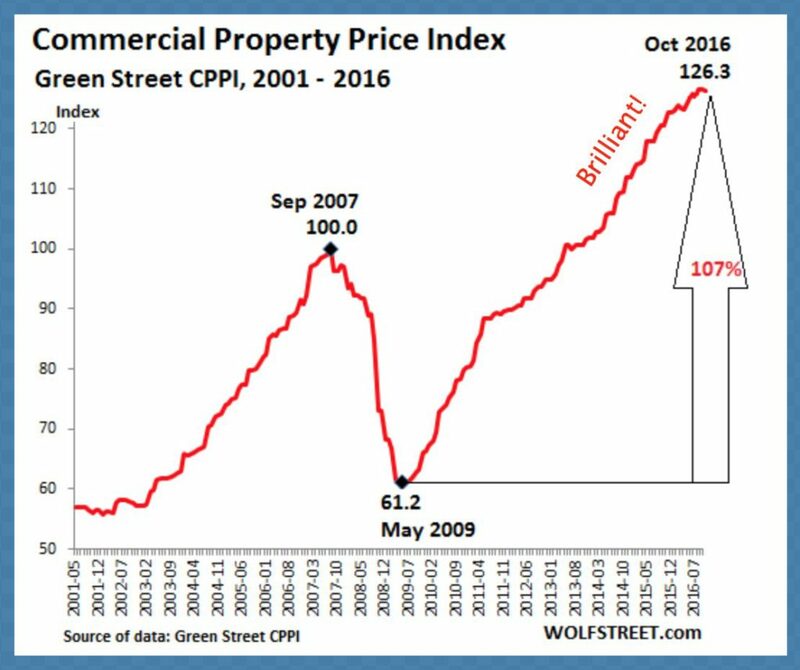 Recently signs of rising prices for commercial property have started to appear in the Midwest. This trend seems to be driven by outside buyers coming in with cash. More and more I'm hearing of groups announcing plans to purchase and renovate buildings in my area. More often than not the numbers bantered around are substantial. This leads me to believe that with commercial property overpriced in so many other areas speculators are entering our market in search of bargains and fertile ground. No doubt part of this is the idea that those in charge of the economy actually want moderate positive inflation and “price stability,” not zero inflation as they have stated by having a 2% inflation target. 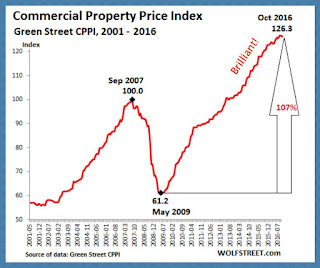 One strong and defensible argument for higher prices on current buildings is that replacement cost have soared. Part of this is due to new codes, regulations, and restrictions as well as higher material and labor cost. This is driving a trend to remodel rather than building new when a property is available. This means repurposing commercial buildings is becoming very common. 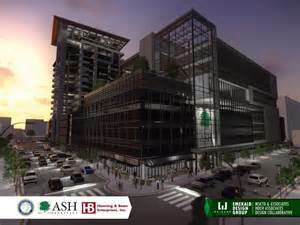 The exception being many big box stores and franchises with Wall Street money demand new build to spec facilities. Another reason for money moving into this sector is that it is very interest rate sensitive and those buying today know when rates begin to rise the cost of money will create a strong barrier to new projects and construction which may cause rents to substantially increase. It should be noted that this game is closed to many of those who might want to jump in because the rules for purchasing commercial property are far different than what a buyer faces when acquiring a house for their personal use. Unlike buying residential property, commercial property tends to require buyers to pay some rather expensive fees in order to satisfy the lender's requirements. Expect a detailed "ALTA" survey to run thousands of dollars and the same for a commercial appraisal. On top of that expensive EPA test and studies to prove the property is not contaminated are often necessary, in the end, these expenses make buying and selling commercial property a difficult endeavor. Decades ago many small independent businessmen with a vision and financing from a local bank set out to build their own building but this has become much more difficult. The lending rules and regulations noted above have halted this practice to a great extent. Over the years the commercial real estate market has become the dominion of Real Estate Investment Trusts (REITs), experienced developers, or speculators loaded with cash. The biggest players are the REITs, these are generally companies that own and operate income-producing real estate. REITs own many types of commercial real estate, ranging from office and apartment buildings to warehouses, hospitals, shopping centers, hotels and even timberlands. By its nature, commercial property investment bars many individuals from direct entry and today only experienced or wealthy players can get into this rather illiquid field where it can take years to sell a property. Deep pockets and a strong stomach are required to survive knowing that when a tenant moves out during a weak economy or soft market a building or office suite may sit empty for years is not something for timid investors. The cost of carrying vacant real estate is heavy and the burden great. Mother nature with the hot summer sun and her cold winter storms all take a toll. This means good solid buildings are often demolished to save on taxes, maintenance, and even insurance. In such a case the owner can only hope the land has enough value to salvage his investment or that he can construct a new building for a long-term tenant with impeccable credit. Before you get excited and declare the strengthening prices in this sector of the economy as proof we have turned the corner towards prosperity it should be pointed out the speculation aspect of this trend is troubling. It might also lead one to ponder the possibility that we are in the final stages of a bubble that will eventually burst leaving many properties in default and the economy in dire shape. The bottom-line is that even though some retail properties such as malls have suffered recently we are beginning to see prices rise and stronger price underpinnings even in areas where prices have struggled for years now the question is whether these increases are justified. Footnote; An article I wrote several months ago reflect on the fact that some of the commercial real estate frenzy occurring in my area is driven by government. One of the several projects proposed in the city where I live is not out of line with what is happening across much of America. We should all be concerned at how financial restraint is being cast aside to create cookie-cutter cities and an illusion of growth. Below are some of the details of what is occurring in the city where I live. When all is said and done I fear the taxpayers will be presented with a bill for these boondoggles and the current exuberance. It is only logical that conflict will arise between different groups of our society concerning financial policy over entitlements. This means we should be prepared for a major clash in the near future when reality hits. Simply put the younger generation is concerned about their student loans and help raising children while many baby boomers and older Americans have already retired or are looking forward to kicking back and being taken care of. The myth that funds have been set aside to provide for the social security payments and the medical needs of older Americans will soon be laid bare and the bill for such things is about to be laid at the feet of today's youth. Call them what you want but Generation X, the Millennials and their younger "Generation Z" counterparts are in for a rude awakening when handed the bill for all that has been promised. The siblings of “Generation Z” owe a great deal of their generational identity to Generation X. Born between 1960 and 1980 in the United States the Generation X is now between the ages of 34 and 54 years old. These are the people who laid the political, intellectual, social, creative and personal ground upon which the youth of today walk, talk and text. Sadly. they also did little to promote an environment of political reality while baby boomers were busy leveraging their clout into favorable policy that they will enjoy in later life. Our government slashed tax rates in the 1980s to revitalize the flagging economy just as boomers approached their prime earning years. The average federal tax rate for a median American household, including income and payroll taxes, dropped from more than 18% in 1981 to just over 11% in 2011. This means nothing was set aside to pay out the generous benefits boomers have bestowed upon themselves, programs like a prescription drug benefit paired with inadequate premiums will cause deficits to explode. Today an American born in 1945 is receiving nearly $2.2m in lifetime net transfers from the "state" far more than they pay in, and far more than any previous group. A study by the International Monetary Fund in 2011 compared the tax bills of what different age citizens pay over their lifetime with the value of the benefits they are forecast to receive and found the boomers are leaving a huge bill. 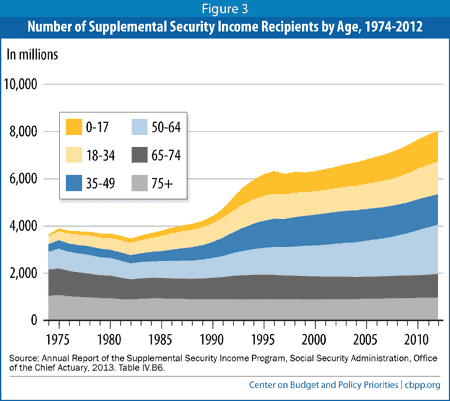 Those aged 65 in 2010 may receive $333 billion more in benefits than they pay in taxes. This is huge obligation the government must meet and constitutes a massive burden that younger generations are about to inherit. For over 35 years, the Administration on Aging (AOA) has provided home and community-based services to millions of older persons through the programs funded under the OAA. These include but are not limited to transportation, adult day care, caregiver supports and health promotion programs. The Office of Nutrition and Health Promotion Programs (ONHPP) manages health, prevention, and wellness programs for older adults. This includes behavioral health information, chronic disease self-management education programs; diabetes self-management, disease prevention, and health promotion services ( “Title IIID”), falls prevention programs; HIV/AIDS education, nutrition services, and oral health promotion. All this cost money and this is only the tip of the iceberg when it comes to money being thrown at making the life of older Americans better. 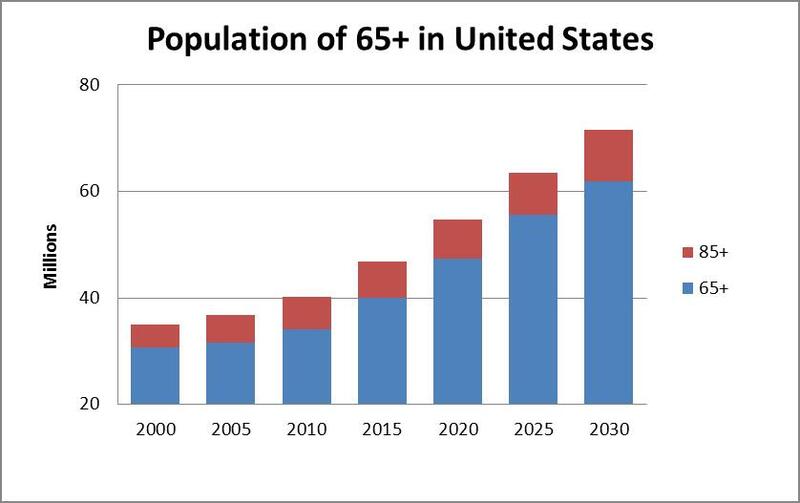 As senior citizens make up an ever-greater proportion of the U.S. population, a range of economic and social shifts will change American society. For example, total health care spending will rise significantly: In 2010 those 65 and older spent about $18,424 per person on personal health care, about three times more than the average working-age adult and about five times more than the average child. The cost of caring for elderly persons with dementia is also predicted to grow substantially in the coming decades, Alzheimer’s care alone may exceed $1 trillion annually. A report titled, 65+ in the United States paints a detailed picture of the over-65 demographic in the United States and this group is central to recent policy debates on the Affordable Care Act and even extending into the area of physician-assisted suicide. One thing is clear, and that is as people age the cost of caring for them rises and this will create real problems for our budget. 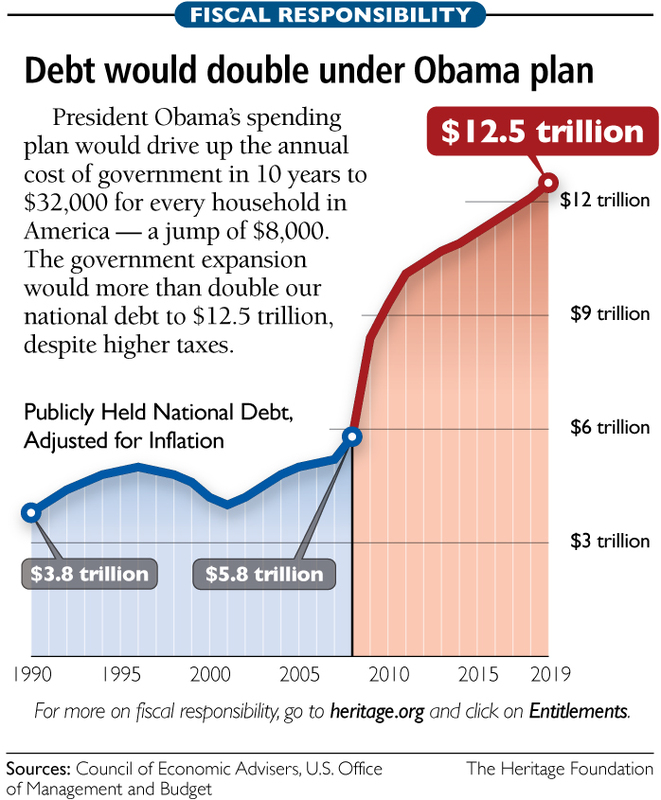 Sadly, arithmetic leaves few ways out of the mess, the numbers are ugly and much of it is only now becoming visible in our soaring National Debt. Faster growth would help, but the debt left by the boomers adds to the drag of slower labor-force growth. Carmen Reinhart and Kenneth Rogoff, two Harvard economists, estimate that public debt above 90% of GDP can reduce average growth rates by more than 1%. Meanwhile, the boomer era has seen falling levels of public investment in America. Annual spending on infrastructure as a share of GDP dropped from more than 3% in the early 1960s to roughly 1% in 2007. Austerity is another option, but the consolidation needed would be large. Years ago the IMF estimated that fixing America’s fiscal imbalance would require a 35% cut in all transfer payments and a 35% rise in all taxes—too big a pill for our creaky political system to swallow. Fiscal imbalances rise with the share of the population over 65 growing and with partisan gridlock, this is troubling news for America, where the over-65 share of the voting-age population will rise from 17% now to 26% in 2030. As this voting block grows and strengthens it is unlikely they will loosen the noose. This leaves the third possibility: inflation. A few years of 5% price rises could help households reduce their debts faster. Other economists, including two members of the Federal Reserve’s policy-making committee, now argue that with interest rates near zero, the Fed should tolerate a higher rate of inflation and try to speed up recovery. The generational divide makes this plan a hard sell. Younger workers are typically debtors, who benefit from inflation reducing real interest rates, older people with large savings dislike it for the same reason. A recent paper by the Federal Reserve Bank of St Louis suggests that as a country ages, its tolerance for inflation falls. At a time when robots and automation are eliminating jobs, it could be argued that younger people are facing weakness in the labor market when it comes to wages. This means that people are having to price themselves into jobs and that there continues to be a cut in the "real value" of pay as inflation remains higher than pay increases. Youth unemployment is weak, many jobs are only part time, and workforce participation has dropped. 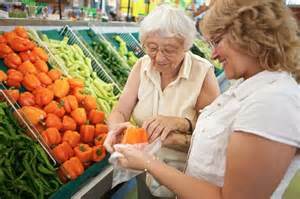 In 2013 the Congressional Budget Office reviewed the implications of providing long-term services and support for older Americans, while the Pew Research Center looked at trends in caregiving, with an emphasis on the “sandwich generation” that is assisting both older children and aging parents. After a review of these reports, it is easy to arrive at the conclusion that the squeeze is on. Few Americans were fans of the recently deceased Cuban El Presidente Fidel Castro but he did leave one positive legacy and that is Cuba's quality healthcare system. In all honesty, it is far better than just fair, by comparison, America's system is downright awful. An article that first appeared in Opera Mundi and was later reprinted in the Huffington Post in the later part of 2014 states; According to the UN’s World Health Organization, Cuba’s health care system is an example for all countries of the world. It goes on to say, the Cuban health system is recognized worldwide for its excellence and its efficiency. Despite extremely limited resources and the dramatic impact caused by the economic sanctions imposed by the United States for more than half a century, Cuba has managed to guarantee access to care for all segments of the population and obtain results similar to those of the most developed nations. If Cuba had a little more money to spend on equipment and medicine the results would be even more impressive. The healthcare system created by Fidel Castro has been praised throughout the world and proves result are not all about expensive equipment and how much money is spent. Cuba a poor country with limited resources has done more with less proving healthcare is not all about money. They have achieved this by emphasizing primary and preventative healthcare. While America talks about implementing more programs based on these ideas the medical community has not been able to move us forward. * The first is to create a lot more doctors or licensed healthcare professionals able to provide the basic day to daycare which constitutes a majority of society's needs. This is what Cuba did, ln fact they created so many doctors that they were able to export them to poor countries throughout the world on missions of goodwill. * This means America should remove the many roadblocks that keep people from pursuing this profession by opening new slots and avenues of low-cost training. We could then employ these professionals in a network of free or low-cost walk-in style clinics throughout the country. * Also we should make an effort to identify individuals that abuse or use far more services than they need and try to deal with them on a different level. The PBS Newshour recently ran a story highlighting how a few individuals accounted for a great deal of the healthcare budget. I was appalled at how they attempted to turn pandering to the lowest elements of society into a good thing. Remember that in order to become a doctor, you must be prepared for at least 7 to 9 years of hard work. You need to obtain a Bachelor's degree first, then attend medical school and take part in rotations, residencies, and exams. It should be noted that currently the number of individuals that can get into medical school is severely limited by several factors and this makes the path to becoming a doctor even more difficult. Anyone who has jumped through all the hoops put before them to apply to medical school will tell you applicants are required to plan years in advance if they have any hope of being accepted. Once you complete medical school, choose a specialty and train for it. After that, you can apply for a residency program, training, and certification. All this means that the cost of becoming a doctor has soared, with higher education expenses leaving the average newly minted physician with $166,750 in medical school debt at a time when their average salaries are declining. 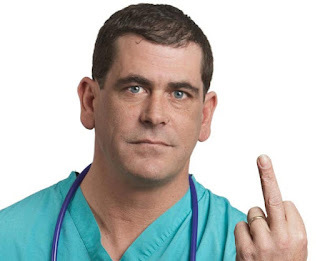 Nearly one-third of doctors saw a cut in pay last year, according to NerdWallet's research. I have leased space to several doctors over the years and it is fair to say their lives are no picnic. Most doctors enter the field of medicine thinking they'll be able to spend most of their time healing the sick unaware the paperwork burden on doctors has become crushing. Doctors trying to run an independent practice, also known as their own business, have to deal with government regulations, employee turnover, insurance nightmares as well as patients who feel they don't need to pay on their account because doctors are "rich' and don't really need the money. And like all of us in business today they have to pander to disrespectful time wasters in a politically correct way even when they want nothing to do with them. To top this off if they fail to do their work well, they don’t just lose business, but we can lose our livelihood through lawsuits. The truth is being a doctor is not as fun as you might think and it does not guarantee you respect and instant riches. Unless we make it easier to become a doctor and change how healthcare is provided we will most likely face even higher healthcare cost and a huge shortage of physicians in coming years. An article by the economist, Joseph E. Stiglitz appeared on Project Syndicate and containing the statement, "The only way Trump will square his promises of higher infrastructure and defense spending with large tax cuts and deficit reduction is a heavy dose of what used to be called voodoo economics. Decades of “cutting the fat” in government has left little to cut: federal government employment as a percentage of the population is lower today than it was in the era of small government under President Ronald Reagan some 30 years ago." I contend this very misleading. Well, I hate to tell this fella but several trends taking place over the last several decades have merely generated the myth he is repeating. Using and bending statistics such as the total number of employees on the government's payroll is very misleading and tends to mask the way government has expanded into every facet of our lives. The role of government in America is changing on the federal, state and local levels. Mandates often unfunded have been heaped upon business organizations and private citizens. If unchecked government grows, it is the nature of bureaucracy to expand. The use of sun-set legislation is underused or the bar set too low when it comes to extending and renewing government bodies. Politicians and bureaucrats deterred from expanding or funding programs by a few vigilant citizens, wait and find creative ways to reach their objective at a later date. Creating special bonds, attaching fees to needed services or narrow taxes that go on to fund new authorities, commissions, and districts. The government need not be efficient, we see this in issues small and large, for example in our currency. Not only is the penny still being used, four new versions of it were released in 2009. The penny is totally antiquated and illogical if an employee is paid only $12.00 per hour it cost twenty cents per minute. How can you afford to pay that employee to count and handle pennies, when the labor exceeds its value? According to the “citizens to retire the penny” it cost the Country more than $15 Billion Dollars annually, but to the government that matters naught. The government and the institutions closely related to it are insulated from the economic reality of justifying their own existence that is faced every day by the business sector. The Government hurls money at inefficient programs to assist the poor. Government has spent a fortune on housing for low-income people offering low prices to the applicants, they compete with private enterprise but due to subsidies are able to “cherry pick” those that will be good residents, rejecting to the streets the more troubled. They ignore the fact this is in conflict and totally sidesteps their mission of helping the most needy. Food stamps do not limit the user to economical healthy basic foods but allow even a recipient to pick up steak and lobster that they can give to friends and family at Christmas, a blind eye is turned towards this glaring flaw. How convenient that failure can be construed as proof that more must be done. A popular way for the government to hide its expansion but garner praise for promoting growth is to get involved in Public-Private Partnerships. These are often touted as our savior because it can allow a project to be completed sooner or make it a possibility in the first place. This vehicle has become popular for highways, airports, wastewater facilities, prisons, student dormitories and even entertainment or sports facilities. Underplayed is the great risk for abuse with the devil often lurking in the details that are buried deep within complex agreements with contract periods of 25 to 30 years or longer. A poorly crafted agreement can become very expensive for the taxpayer if there are fewer users than expected for the project and the public partner agreed to pay a minimum fee no matter the demand. I often sit and have coffee in a chair near the front window in the building where my office is located, this window looks out on what might be called the crossroads of America. Across the street is a Target store that was recently expanded into a super-target, behind it a toxic waste site cleaned up to where it may be used in a limited way. A bank on the corner that was built ten years ago after demolishing the preexisting buildings has changed its name five times through the years before closing and taking with it the jobs that bank branches had once provided. 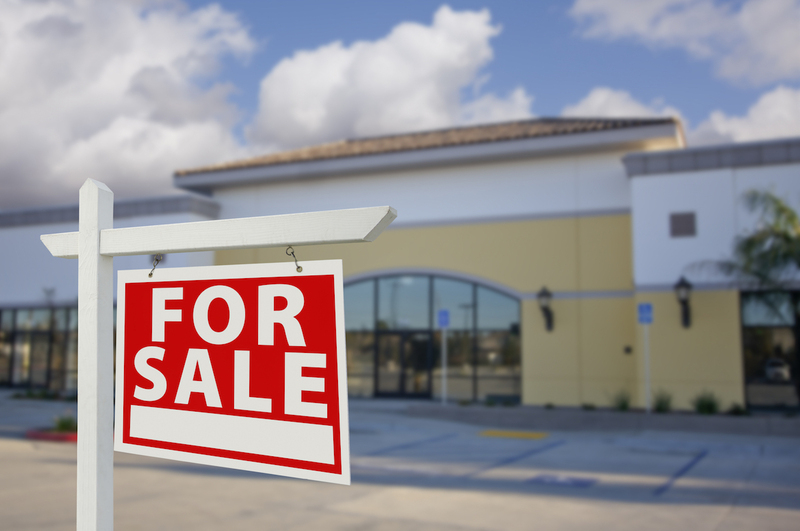 Miscellaneous stores and offices line the street, coming and going, with all for lease signs that accompany such a changing landscape where big business, consolidation, and automation are having their way. When government pours money into a sector of the economy it slowly morphs into a quasi-extension of the government we have seen this in many the institutions of higher educational and large healthcare facilities. What amazes me as I sit in my coffee is that a high percentage of the vehicles that go by are government or on government related business. Empty city buses, police cars, fire trucks, post office, housing authority, park and code enforcement department vehicles drive back and forth. Then there are the vehicles of quasi-government units like utilities, which are regulated monopolies, this would extend to and cover the groups trimming trees and running new lines and all those vehicles providing services to help meet the many government requirements that are all paid for with taxes and fees. The trend of government to outsource much of the work it did in-house decades ago has masked a great deal of its growth. Yes, the government has crept into every nook and cranny of the economy. Unneeded quasi-government organizations by nature reach out to expand the influence and power of their directors. Instead of focusing on the business of government and simplicity, this new proactive movement, one of "cuteness", disguised in the shawl of flexible and diversity is being expanded, and we are paying the tab. Government is proud of pet projects that allow bureaucrats to experiment and try new things without the personal financial risk of a businessman and creates an environment where they can be creative on our dime. This is a problem for concern. The best time to kill a monster is while it's still small, that time has passed, now we can only hope to slow its growth through starvation, and that is unlikely. The new year rolled in with several Sunday morning talk shows that discuss the Washington beltway and current events piling on America's new president-elect. 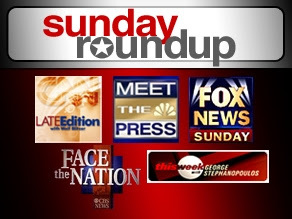 Face The Nation excelled in ratcheting fear mongering to new highs during the second half of their hour-long broadcast. I believe only half the hour-long show is seen in some areas but if so it was most likely the part where scorn was heaped upon Trump. The group presented a rather sobering and depressing view of what America faced in 2017 and coming years. To be blunt it was so over the top it was almost laughable. On another channel the moderator displayed a rudeness towards a Trump representative, the type of rudeness generally reserved for enemies of the state, however, it did not rival what was dished out on CBS. A panel comprised of pundits, supposed experts who impart their deep knowledge in an attempt to enlighten us more ignorant folks, made it clear problems were brewing on the horizon as a result of Trump being elected. Journalist Michele Norris of the Race Card Project, Jeffrey Goldberg of The Atlantic, Michael Gerson of the Washington Post, and David Frum of The Atlantic pulled no punches when they discussed the changing face of American politics and what to expect from a Donald Trump presidency in the year ahead. Missing was any glimmer of hope or optimism. It almost seemed they were in a rush to front run any movement to call for Trump's impeachment. Sadly, this is even before the inauguration, of course, I'm sure this was all done with the best of intentions and to prepare and spare our nation the pain of such matters. If an award were given for "Trump bashing" due to their performance CBS' Face The Nation would be a strong contender. Below are a few comments taken from a transcript of the show's panel during the second half of the broadcast, untouched, unchanged, and word for word. They are offered up to give an idea of the tone being projected by much of mainstream media. You might note that at times these somewhat bias pundits would not lower themselves to even utter the name Donald Trump because of the bile taste it might leave in their mouth. Because of the problem of adding examples the mainstream media bias and how they focus on "Washington thought" promotion thinking if they say it it will be true. It is easy to see why so people have heightened concerns about what lies before us when these shows are so full of fear-mongering and poisonous rhetoric. These commentators seem oblivious or to discount the fact many Americans did vote for Trump and he did indeed win by the poorly crafted rules set for such contest. It would seem many people are unimpressed with the media and their pundits, someone is out of step with current views. Below are a slew of their comments followed by my closing statement, if it gets a bit long please leap to the end at any point. JEFFREY GOLDBERG: is there undergirding the larger, more immediate story, which is how did Donald Trump become president of the United States and what does it mean for not only the way America understands itself but the way the world understands America. I mean, I would just add one more point, which is that the rest of the world is watching with bated breath. Because we-- we are at a hinge moment in history. Since 1945, we have played a certain role in the world. And it’s not entirely clear that after January 20th we’re going to play that same role. MICHELE NORRIS: In this country, we’ve always assumed that technology was a good thing. We embraced it. We assumed that it was propelling us forward and that it would perhaps even though it was displacing jobs, that it would make for a better society, a better flow of information. I think we’re going to start to really question that now-- on-- on a lot of levels because of what it’s done to democracy, because certainly what it’s done to the level of American discourse. And as journalists, you know, we have to learn how to operate in a world where there is no longer a common set of facts. People get their news in such a way that it usually affirms or confirms everything that they already believe. We have someone who is about to occupy the Oval Office who is dismissing many of the publications that we work or have worked for and is trying to bypass us and go directly to people. So as we try to explain this surreal universe, we find ourselves in-- in almost a room of funhouse mirrors trying to figure out how to describe what’s going on. DAVID FRUM: A neo-fascist party may win the presidency of France this year. Democratic institutions in the countries liberated in 1989 are falling apart in Hungary, and Poland, and other places -- Croatia, elsewhere. The European Union is cracking apart. And the United States has a new president-to-be who has made it clear he’s not going to be bound by traditional rules against corruption, traditional rules against foreign influence, traditional rules in just about any way, traditional rules against the president having his own private bodyguard paid for by himself rather than by the state. We are living through a crisis of democracy not-- unlike anything seen since the second World War. I have the experience again and again, and many of you may have it, too, of being in a coffee shop or something. Someone I know a little bit will come up to me, and say hello, and then say, “Tell me that everything is going to be okay.” And what I realize is, I can’t give you the assurance you want. I am not sure that everything is going to be okay. But here’s what I do know. The only way that things will be okay is if we all understand how not okay they are. If we are sufficiently inflamed, we may be able to put the fire out. MICHAEL GERSON: Well, I think there’s a pretty much even chance that we’re going to have a constitutional crisis or have a completely incompetent presidency that doesn’t know how to exercise power, which is, I think, another possibility in this circumstance. He has a White House-- Donald Trump has a White House with almost no skill at governing. He has a chief of staff that’s never been in government, which is absolutely extraordinary. He’s elevated people, generals and--a corporate heads, that have no experience in this extraordinarily complex business of how you put together an administration, run a bureaucracy, produce ideas. So there’s-- I think there’s a deep concern about the possibility of overreach. But I think we should be also concerned about the possibility of an entirely ineffective government that doesn’t value governing experience, that doesn’t value, you know, what government should do and what it can do under the right circumstances. DAVID FRUM: But you need to take the measure of the-- the threat to democratic institutions in this country and around the world. And I-- I don’t think we do people a service by saying, “You know, there have been bad things in the American past before.” There have been. This is our bad thing, and it’s about as bad a thing as has happened in any of our lifetimes. MICHAEL GERSON: It-- it also concerns me -- we do have this entirely new set of economic and social circumstances. That the normal reaction would be to propose the politics of the future. How do we adjust? How do we compare-- prepare people for the new economy, give them the skills and social capital they need to succeed in an entirely different world? And you look at the message of “Make America Great Again.” And that is a backward-looking message. That is kind of a return to social patterns and economic, you know, approaches of the past. We can’t undo globalization. That’s not possible. MICHELE NORRIS: Well, and they’re not in some ways addressing reality, you know, also. I mean, in the phrase “Make America Great Again,” there is one word that if you are a person of color that you sort of stumble over. And it’s the word “again.” Because you’re talking about going back to a time that was not very comfortable for people of color. They did not have opportunities. They were relegated to the back of the line. And this is a country that, you know, to be honest, was built on the promise of white prosperity above everything else. MICHAEL GERSON: And that’s true of gay people. It’s true of women who want leadership roles in this society. It’s a - It’s a fairly-- large, you know, group of people who are not - don’t like nostalgia in that sense. JOHN DICKERSON: Let me take a pause there. We’ll be back with more from our panel. 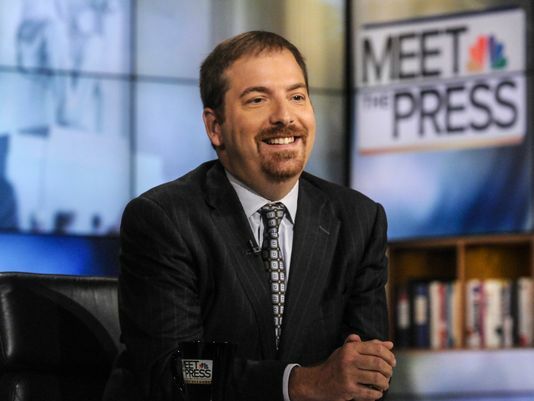 JOHN DICKERSON: And we’re back with our panel. David, I want to ask you -- Barack Obama has been saying to Democrats who are nervous about Donald Trump, “The office constrains the man.” He says the White House will keep Donald Trump from doing all of the things he promised he would do in the campaign. Do you buy that theory of the presidency? DAVID FRUM: So we’re going to have an agenda from Congress that is pretty unpopular in all of the country that is able to passed into law only because this unpopular president is there by accident to sign it. So they are dependent on him. They know if he falls, they’re doomed. And he meanwhile has a highly individualistic agenda I believe that is focused mostly on self-enrichment and also self-protection against investigation of the extent of foreign involvement in his election. MICHAEL GERSON: And the problem is not just chaotic management theory. It’s actually a weird cycle by which people stay on message for seven days. And then all of a sudden, 3:00 in the morning, he reads InfoWars, and, you know, sends off a tweet, and goes off. And then everyone has to go to the family and say, “Can you get him back on the wagon?” And then there’s another crisis like-- process like this. The presidency can’t work that way. You can tank markets. You can invite incursions. You can do a variety of things. And the manner in which he both manages and his lack of control -- impulse control when it comes to his own message, I don’t know how that works in the presidency. It’s going to be fascinating. DAVID FRUM: Let me give you an example of something we should all be very frightened of. And this may be the single most dangerous thing for world peace that happens. It’s very bad when a president, as Barack Obama did, draws a red line and the red line isn’t actually there. That’s humiliating. That leads people to misunderstand. What is much more dangerous is if the president says the red line isn’t there and it really is. Trump is everyday signaling-- signaling that red lines aren’t there, that NATO doesn’t matter. DAVID FRUM: And he has the least competent OMB director in the history of the office. MICHAEL GERSON: Right. So it’ll be interesting whether he can lead on that or where they are just overwhelmed by the reality of governing in a way that may empower the Congressional wing of the party. MICHELE NORRIS: Donald Trump made a lot of promises that are going to be very difficult to deliver. And the people that he pumped up at all these-- these rallies during his campaign and now, you know, as he’s just completing his victory tour, people have great expectations. And, you know, when you ask people to pick up their pitchforks and march behind you, if you can’t deliver, those pitchforks wind up being aimed at you in the end. DAVID FRUM: There are a lot of things Donald Trump doesn’t know. But he does know how to dominate, bully, and provoke. And one of his goals, I think, in 2017 will be to drive people on the left to do self-destructive things that will damage them and empower him. MICHELLE NORRIS: I think, you know, when we’re talking about protests, you have to remember that people have a right to protest. And sometimes defending American institutions is actually challenging them. DAVID FRUM: What I mean by defending American institutions is that the president shouldn’t have his own private band of bodyguards. He should use the Secret Service. What I mean by defend is the president shouldn’t extract bribes. What I mean by defending American institutions is the president should tell the truth. He should release his tax returns. Basic norms of how a democracy with a strong executive and weak checks on corruption, which is unfortunately something that has always been true in the United States. How it polices itself. Those are the things. I don’t mean-- I’m not telling anyone to be quiet. I’m telling people to understand the nature of the threat they face. And it’s-- it’s-- it’s not because you’re going to have conservative appointees to the Supreme Court. That is not-- if I were a liberal and a Democrat, which I’m not, I-- I would hope I would have the discipline to say, “You know what? The Republicans, they won the election. They get to have their Supreme Court appointees.” They don’t get to have, however, their private presidential bodyguards. That’s not okay. JOHN DICKERSON: All right. We’re going to have to end it there. Thanks to all of you for joining us. Nine out of ten times Dickerson or whatever moderator throws out this line they will add the phrase, "we will be right back" then after a long series of commercials they come back for ten seconds to say, "we hope to see you next week." It is difficult not to notice the stark contrast between how Trump is being treated by the press and how they heap praise upon Obama as he takes a "victory tour" lauding his accomplishments as president. I find it difficult to think any of these people will soon change their minds and begin to praise Trump if they have overstated the negatives he brings to the table. I predict in an effort to prove they are right they will continue stirring the pot of political divide and this will increase harmful polarization. 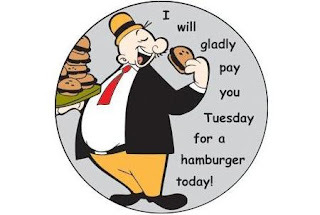 Gladly Paying Tuesday For A Hamburger Today! Nowhere is the trend of kicking the can down the road more prevalent than in government as politicians goal of being reelected takes front and center. This has reached a point where those in office are surrendering their better judgment as they go seeking jobs at any cost. We constantly see government bargaining with, and making concessions to companies like Amazon to locate facilities in their State. This is often done just to gain a few jobs with little thought to the long-term consequences. Sometimes it is exempting sales tax, sometimes it is giving the company free utility build-outs or forgiving property taxes. I use Amazon as an example because it is an exploiter of the brick and mortar stores that line the streets of our cities and neighborhoods. Postponing Payment Does Not Make Lunch Free! The sweet allure of getting and receiving the benefits while setting back the negatives, this story is not new or is the desire from which it flows. It is often the catalyst of bad policy, this is even apparent when it comes to the Affordable Care Act or what is commonly known as Obamacare. After promises the ACA would lower healthcare cost while extending coverage to millions of Americans the decision was made to "phase in" the program starting with a small penalty to those who choose not to participate. In just a few years we have seen healthcare cost soar and the penalties become substantial moving Obamacare towards the brink of failure. As usual whoever is handed the task of cleaning up such a mess is faced with the unpopular task that will leave many people unhappy. By giving some companies advantages states may be lowering the ability of others to compete and in the long run, they often lose more jobs than are created in the short term. In Fort Wayne, Indiana years ago the city backed a bond and the loan to build a massive hanger at the airport for an air-freight company named Kitty Hawk. They promised a slew of new jobs when they located their hub in the city, the company is now bankrupt and the jobs are gone. The taxpayers of Fort Wayne are now paying for an empty hanger that they are trying to lease at an aggressively low price. This hurts those private investors and property owners that lease building space as they are now forced to compete against the government to which they are forced to pay taxes. 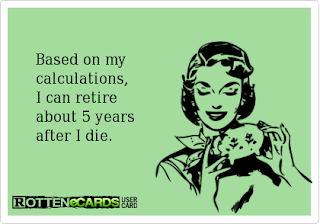 Estimates Can Be Very Very Wrong! The Devil is in the details when these so-called "pay you later" deals are crafted and when dealing with the Devil we often pay a great price. It is not uncommon to find promises broken and estimates way off the mark as to final cost. Sadly, as we move toward President-elect Trump taking office in later this month the National Debt Clock is fast approaching the 20 trillion dollar mark. 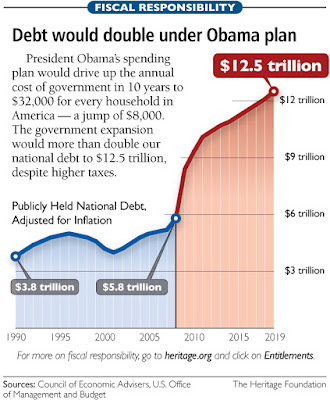 The chart to the left predicted that by 2019 the national debt would top 12 trillion dollars, boy they really missed that one! Projections made by the government or any group predicting budgets based on events that may or may not happen at some future date are simply that, projections or predictions and not fact. This means that such numbers are totally unreliable. The lesson is that delayed payment should be viewed as sidestepping reality rather than a solution. Short-sighted attempts to sidestep real structural failures and problems often fail. Real problems must be addressed with real solutions not just promises of future action or put off until a later date. Unfortunately not taking the proper steps often causes more problems down the road. This brings to mind the words of Winston Churchill who said, "The era of procrastination, of half-measures, of soothing and baffling expedients, of delays, is coming to a close. In its place we are entering a period of consequences" My point is, we too are entering the dark and dangerous place where we must pay the piper. Footnote; This post dovetails with many of my recent writings, other related articles may be found in my blog archive, thanks for reading, your comments are encouraged. 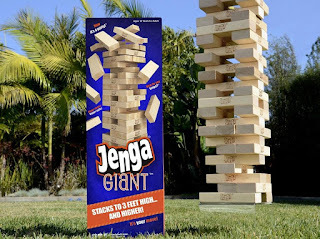 Financial Jenga has hit the world and it is bigger and better than previous versions. Call it Jenga on steroids if you like and it can be found in many markets. It is often endorsed and promoted by those we look to for financial guidance. Like the real Jenga game, the aim is to try and make the tallest tower using the blocks. Remove blocks from lower down the tower then take things to a whole new level by stacking the piece on top. The game of financial Jenga is the product of central banks across the world as a result of their continued QE and money printing policy. 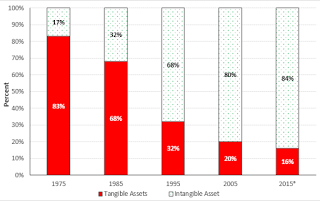 A little research rapidly reveals that today the biggest banks in the world are larger in terms of gross assets than prior to the 2008 financial crisis. The size of total deposits and the notional value of derivatives, everything that was too-big-to-fail in 2008 is bigger and exponentially more dangerous today. This should lead any prudent market watcher to the conclusion those directing the financial system have learned little from the past. Those of us troubled by the direction governments and central banks have taken us are bracing for a financial avalanche that will dump on everyone’s parade. The warning signs have been in our face for a long time now as a series of what would have at one time been considered outlandish ideas, such as a war on cash, forgiving debt through a debt jubilee, giving everyone a guaranteed income, and even injecting money into the economic system by dropping it from a helicopter have all found their way into economic conversations. Our current monetary policy has long been moving us towards what may prove to be an inevitable collapse, the kind that always occurs in the game of Jenga. To many of us, it now appears this disaster will now unfold during Donald Trump's time in office. What will make this event so devastating and vast is that it has been fueled for years by all the major central banks making it truly global in nature. If a global financial panic takes place will it become a major legacy of Trump administration or will he simply be seen as the patsy on whose watch everything came tumbling down? It won’t be Trump’s fault, merely his misfortune that he reaps the ill fruit of seeds planted years ago. Knowing nothing last forever, we should not be surprised in the wake of a total global collapse to see support grow for a new currency. We can only speculate whether America's new President would come around to endorsing such a non "America First" move. More than a few of us have predicted that when facing the next global financial meltdown world leaders will huddle together then turn to the IMF for a solution claiming it has the only clean balance sheet remaining when liquidity is so desperately needed. It is assumed that if the IMF were to print the equivalent of $10 trillion or more in "world money" called special drawing rights they could in effect become our savior. Of course in such a situation China and Russia as well as several other countries would acquiesce in this liquidity injection provided it hastens the demise of the dollar as the benchmark global reserve currency. You never want to be caught on the wrong side of a debt default. In this case, I would define the wrong side as the side where you don't get paid or are paid with a less valuable currency that has seen its value eroded by inflation. When I write about debt default it is important to understand these defaults can take many forms but what they have in common is they all can be considered as reneging on financial obligations. Generally, we make a distinction between public and private debt but even that may become blurred when government in need of funds has to seize or take over assets or institutions. The term financial crisis is applied broadly to a variety of situations in which some financial assets suddenly lose a large part of their nominal value, a default falls into this area. 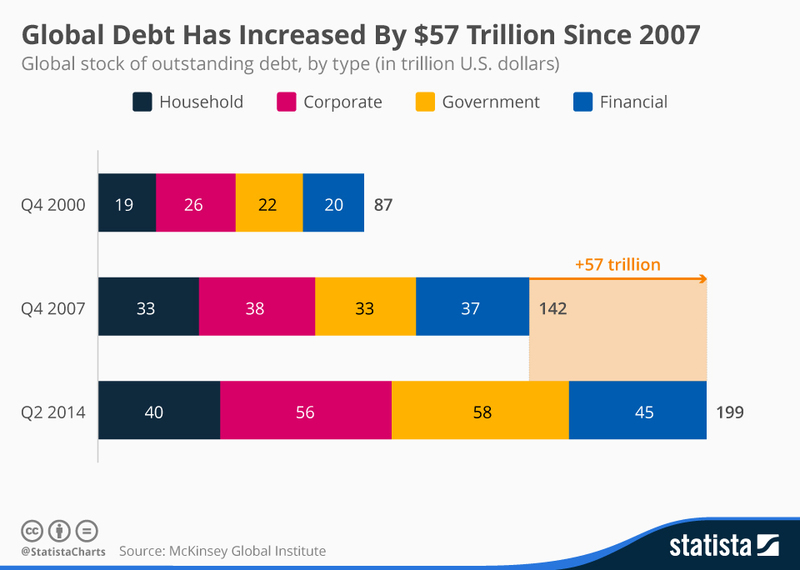 Debt has grown at a tremendous rate across the world in recent years. Of great concern should be the growth in non-recourse loans as well as unsecured personal loans and such. It is also important to make a distinction between public and private debt because many investors are seduced into thinking the backing of government adds tremendous validity to both the explicit and implied warranty that come with government-backed instruments. History has shown public debt can be handled or should we say, mishandled, in several ways. One example from the past was how Henry VIII, in addition to engaging in an epic debasement of the currency, seized all the catholic church's vast land holdings. While not strictly a bond default, actions such as these accompanied by imprisonment or even executions can still be considered as reneging on financial obligations. It is difficult to argue this doesn't constitute some kind of default. A debt default is often the result of a collapse or failure of an institution, financial mechanism, or even a financial instrument and can result in a rapid shift in the value of assets. The word "collapse" has a way of conjuring up the image of something falling or crashing in but it is important to note subtle details of the way this occurs can have a great affect on the damage it creates. Many of the economic crisis we might encounter in our complex modern world have the potential to spread from one institution to another creating contagion and resulting in a destructive domino effect. The massive derivatives market that is touted as one of our modern financial tools is often sighted as having the potential to wreck havoc in this way. Defaults often fuel the collapse of what some people label as Ponzi-type schemes, underfunded pension funds can be considered in this category. Pensions and promises will be broken so get ready for more pain. This is especially true in the public sector where the 25 largest U.S. public pensions face about $2 trillion in unfunded liabilities. While it could be said that several ways exist to cheat or rob those who paid into pensions for years it would be an understatement, more ways exist than you could imagine. One reader on another site compared pensions to a Ponzi scheme where benefits are paid out to its investors from new capital paid to the operators by new investors, rather than from profit earned through legitimate sources. I fear the future will prove him mostly right. The financial stress caused by defaults are often the final straw bringing final collapse causing things to cave in upon themselves. 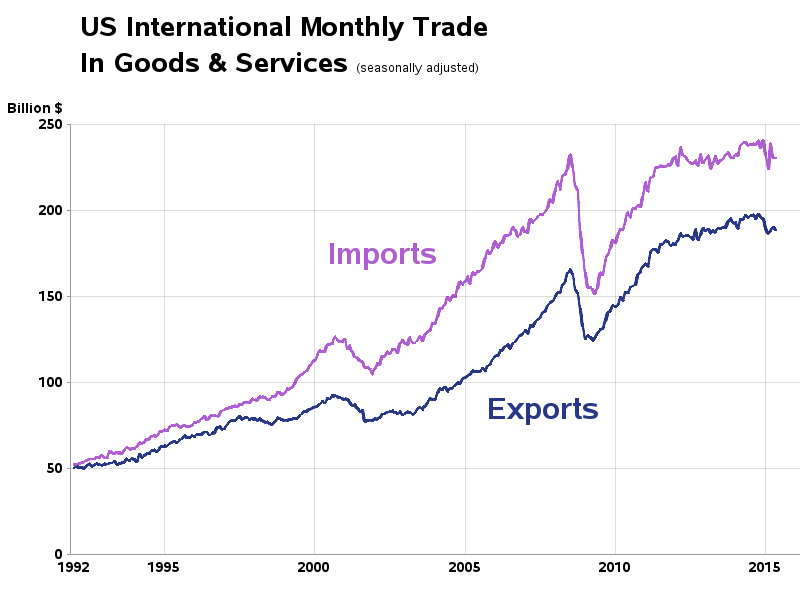 Note; This Chart Prior To China's Recent Problems! One thing is clear, we are only beginning to see the tip of the iceberg when it comes to this growing problem and just how many of these schemes are underfunded because this is a problem that exists all over the world. Remember the PBGC, America's safety net for failed pensions has total assets of about $88 billion and liabilities of $164 billion, this is an indication of how dire the situation is. A "bank bail-in" can be viewed as another way to disguise a massive default and it can happen here in America. An example of just how delusional we have become as to the fragility of our financial system is that many people have taken comfort in the efforts to control the banking sector through legislation following the 2008 crisis. The Dodd-Frank Act of over 2,300 pages and still growing allows this under Title II by imposing the losses of insolvent financial companies on their common and preferred stockholders, debt holders, and other unsecured creditors including depositors. There is also the area of inflation, we should consider the possibility that inflation has been kept in check primarily because we as a society have invested a large percentage of our wealth into intangible products or goods such as stocks, bonds, and even currencies. If faith drops in intangible "promises" and money suddenly flows into tangible goods seeking a safe haven inflation would soar. This would drive interest rates upward and result in massive losses for bond holders. A lot of money has rushed into government bonds in a flight to safety, and this has sent yields lower and lower. To give you a sense of what this may mean to U.S. Treasury Bond investors a 10-year treasury bond issued at a 2.82% interest rate could see a 42% loss in value from a mere 3% rise in interest rates. This means if you’d held $100,000 in these bonds prior to the rise in rates, you would only be able to sell those bonds for $58,000 in the secondary market. Please note the $58,000 you get back would also be affected by a loss of purchasing value lost from inflation. Many who have read my blog have indicated to me they strongly feel a major reset will take place in the future. Those invested in bonds should not underestimate the power of inflation to strip them of their wealth. Never before do I remember seeing so many predictions of interest rates remaining low forever and a day. Many of us have a problem lending hard earned money out for a long period of time and we should be wary. Rates are based on predictions of future government deficits and events around the world that may or may not unfold as expected. Part of a conundrum we face is that far more freshly printed money has been created and floated into the system than new tangible assets to back it. An issue that merits more attention than it gets is the large role our government plays in the economy. I contend that in the case of a financial crisis brought on by a large number of defaults it will act as a net under the economy making painful deflation less likely. Revisiting an issue on occasion is necessary to recognize trends. At the beginning of 2015, I wrote an article concerning the millions of Americans who have made gaming the system a national pastime. A program riddled with such players is Supplemental Security Income also known as SSI. Often misunderstood and sometimes confused with Social Security Disability insurance many people are not even aware this program exists as a separate entity. Looking back on this subject I had hoped to find some updated cost figures to see how much the program had grown over recent years. What I found instead was several slick government sponsored websites promoting the program and promising those who sign up aid. Once on these programs it is often hard to get someone off of them, on the contrary getting on one program often helps a person qualify for another, then another. The fact is that today our government has layered layer upon layer of programs on top of each other in an effort to help the poor and needy. To quote part of a detailed article written in 2013 by a group supported by the Cato Institute, "Policymakers have liberalized eligibility standards for SSI's benefits over the years, with the result that many people who are capable of working are making the choice to remain idle and receive benefits instead." Still, while many people support such programs praising how they help the poor and downtrodden they usually will tell you the programs fail to go far enough. The SSI is a Federal government program originally created to provide "stipends" and help low-income people who are either age 65 or older, blind, or disabled. The program is administered by the Social Security Administration and funded by funds from the treasury and not social security taxes. SSI is a massive program that tends to lay just below the surface out of sight of many hard working Americans busy trying to earn a living. It has become the go-to "sweet spot" for aid. Unlike food stamps, SSI is structured like the earned-income tax credit and unemployment insurance in that it delivers benefits in the form most poor people find most useful, cash. Of particular concern to many policy wonks is the growing number of children who are qualifying for SSI on the basis of a mental or behavioral disability. Many children who are capable of becoming productive working adults are being lured into long-term government dependency. I personally have heard of how parents push teachers into placing their child into this category knowing it will qualify the child for special financial benefits the parent will control in their role as guardian. Another issue is how even attorneys have reached their grubby paws into siphoning money from this system. This is part of what an ad from a local attorney has to say; "Social Security Disability and Supplemental Security Income applications and the review process are time-consuming and detail driven. The value of an attorney can make a difference in the outcome of your case. You need not be elderly to apply for Social Security Disability or Supplemental Security Income. We will work with you to make sure the proper documentation is submitted to support your application. We will attend your administrative hearing and present the evidence contained in the record to help you qualify for benefits. Under current Social Security Administration rules and regulations, our fees are paid upon obtaining benefits for our clients, so you pay for our services if we are successful in obtaining a favorable decision for you." This appears to give attorneys a strong incentive to "overreach" and push hard for benefits justified or not. SSI A Program Gone Wrong! It provides cash to meet basic needs for food, clothing, and shelter. To see if you are eligible for SSI benefits you merely have to link onto a government screening tool and take 5 to 10 minutes to answer a few questions. This also will tell you if you are eligible for other benefits. For a little background on this program, SSI was created in 1974 to replace federal-state adult assistance programs that served the same purpose. The restructuring of these programs was intended to standardize the eligibility requirements and level of benefits. The new federal program was incorporated into Title XVI (Title 16) of the Social Security act. Today the program has grown to provide benefits to well over eight million Americans. I found it difficult to get current numbers because any website about SSI is so riddled with ads touting the program and how easy it is to apply for benefits. One requirement for SSI is that the individual's resources are below a certain limit. This amount is $2,000 for a single individual and $3,000 for an individual and their spouse (whether the spouse is eligible for SSI or not), $4,000 for a child applicant with one parent living in the household, and $5,000 for a child applicant with two parents living in the household. However, conditional benefits may be paid if a substantial portion of the resources are considered non-liquid, resources that cannot be sold within 20 working days if they agree to sell the resources at their current market value within a specified period and repay the money after the non-liquid property is sold. However, it should be noted that not all actual resources are counted in calculating an individual's or couple's resources for SSI purposes. The numbers below show the rising cost of this program. Chart SSI Spending 2000-2013 Cost Is Soaring! As the number of beneficiaries has increased so has spending on this program. Supplemental Security Income spending has risen from $33 billion in 2000 to an estimated $57 billion in 2013. This is a 70 percent increase. In real (after-inflation) dollars, the increase since 2000 has been 29 percent. This could be interpreted to mean that when you get older you will not be forced to live "within your means" existing solely on your meager social security if you have saved nothing. If you are younger the same fact and possibility of "more" income may apply. The SSI program, or Title XVI of the Social Security Act 1611, provides monthly federal cash assistance of up to $698 for an individual and $1,011 for a couple (as of 2011) to help meet the costs of basic needs of food, shelter, and clothing. In most states, SSI eligibility usually assures concurrent access to important medical coverage under the various state Medicaid programs and sometimes access to section 8 housing benefits. In some states, supplemental payments are made by the state, increasing the cash assistance available through SSI. For example, the state of California, through its State Supplementation Program (SSP), increases the cash assistance by $171 per month for a disabled or aged individual with access to cooking facilities in 2011, making the total SSI benefit $845 per month. So while supporters hail SNAP as a key income support for the working poor, seniors and the disabled, as well as an “automatic stabilizer” it must be noted the government already has programs, and bureaucracies, for each of those groups and policy goals. This means as an example, a third of the seniors living on food stamps also get Supplemental Security Income (SSI). A big question is whether once on SSI a person will ever start looking for work again in time. Look at U-6 unemployment over recent years and it suggests many of the people on the edge of the labor force have hit the exit. One explanation for that may be government benefits directly affect incentives to look for work. This means more generous unemployment benefits tend to elevate participation rates since workers must be looking for work to qualify. With disability insurance (DI), however, the opposite applies: to qualify applicants must generally demonstrate that they cannot work. In theory, disability and unemployment should not be correlated and for many years they were not. Due to changes in 1984 DI eligibility criteria were eased so that applicants could qualify based on a combination of conditions rather than just one. Since then, highly subjective conditions such as back pain and mental illnesses have grown to account for most DI beneficiaries, and claims have become more correlated with unemployment. This strongly suggests that many workers find a way to qualify for DI when other benefits have been exhausted. Although DI recipients may initially have climbed because the economy was weak, their numbers will almost certainly not decline as it strengthens. Past figures show only 4% of beneficiaries return to work within ten years. The proportion of working-age adults on DI has risen from 1.3% in 1970 to 4.6% in 2013 and while the participation rates appear cyclical at first it is beginning to look more structural. Europe may hold some important lessons as to what we face going forward. In the 1970s DI became more generous in the Netherlands, and caseloads exploded. Had the increase in disability numbers shown up in unemployment instead, the Dutch unemployment rate, which was 6% in 1980, would have surged to 13.4% says a 1992 report. The crushing expense of DI eventually forced the Dutch government to make reforms years ago that made employers bear more of the expense of employees who end up on the system. Since then, caseloads have dropped. In America, the DI trust fund was expected to run dry in 2016 based on current trends. This would lead a person to see the long term implications of people not working but turning to more government aid will become a heavy burden for society. Footnote; Other related articles may be found in my blog archive, thanks for reading and comments are encouraged. Below are a few of those on a similar subject.